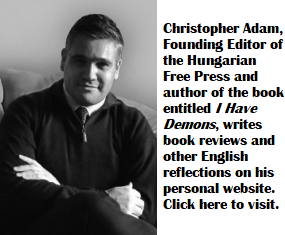 Before I got involved with current events in Hungary, I wrote fiction and occasionally poetry. I began my post-secondary education as an undergraduate student in English literature, immersed mostly in Canadian and British literary fiction. Some fifteen years later and after writing more than one thousand articles on current affairs in my two online publications, I felt that it was time to revisit the possibility of communicating ideas about society through fiction. It was quite a change of pace for me; each word and image had to be carefully considered, characters needed to be credible and relatable, and as an author, I had to share my ideas through the voices and lived experiences of the people I created. 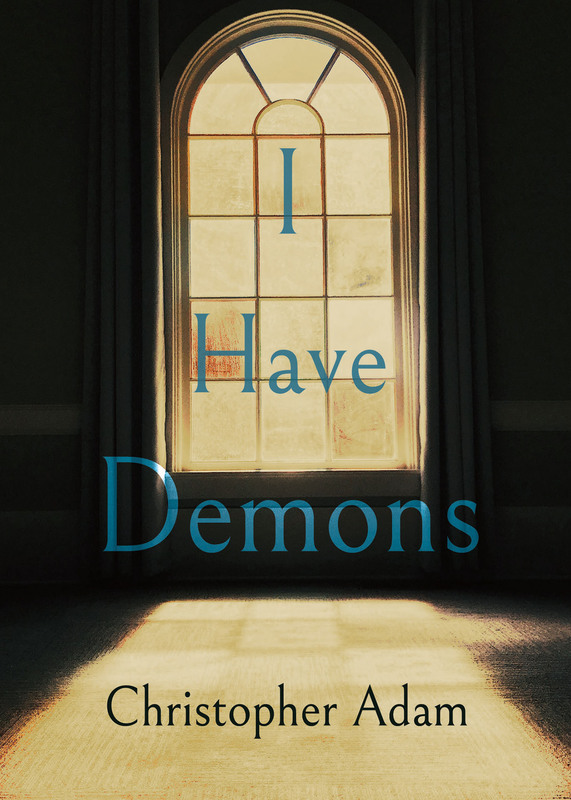 I Have Demons is a collection of three novellas set in Ottawa, Canada. The stories in this collection shine the spotlight on people who, in different ways, live on the margins of society. A jaded young priest of a dwindling parish faces a man with a terrible secret. A lonely pensioner spends a Thanksgiving she’ll never forget at a local diner, served by an acerbic waitress who has finally found her ticket out of there. A recent university graduate from small-town Ontario leaves home with nothing to his name but the hope of a new life in the city and places all his trust in a charismatic yet dubious life coach.They are all searching for that path to take them from the peripheries to the centre. It was not my intention to create characters who are victims, but rather people from different socio-economic backgrounds, age ranges and professions who demonstrate a degree of agency in how they struggle to change course. As in real life, both the human relationships in the book and the characters themselves are flawed. I also explore the human connection to the Divine–a connection that is tenuous. Each of the stories take place in and around Ottawa. I found that the capital’s landscape–the vastness of its forests, greenbelt and rural communities, the low population density and its place on the border between English and French Canada–lent itself particularly well to exploring the world of peripheries and isolation. Although I hope that my first published work of fiction is a worthy addition to the growing pool of Canadian literature, there is a Hungarian connection too. Three authors influenced this collection, including Canada’s Margaret Laurence, British author Graham Greene and Hungarian poet and author János Pilinszky. Laurence, particularly through her book The Diviners, resonated with me in how she handled issues of class and socio-economic differences in small-town Canadian society. Both Greene and Pilinszky, on the other hand, explored Roman Catholicism through their work and in each case, the authors themselves struggled to grasp the complexities of a Divine presence, or lack thereof, in the world and the ability to forgive–both others and ourselves. Pilinszky is among the most fascinating of postwar Hungarian literary figures and thinkers. In my preface, I refer briefly to both his iconic poem “Apocrypha” and to his thoughts on God, history and reason, as expressed in an essay appearing in his anthology Nagyvárosi ikonok (1970). Switching gears and writing fiction, at least for a short while, proved to be a very welcome change of pace for me. And working with a professional editor and proofreader in Toronto, as well as with a cover designer and publisher, was an eye-opening process for me. For Ottawa locals, the paperback is stocked and available for purchase at Books on Beechwood (35 Beechwood Avenue, Ottawa, ON K1M 1M1). This is a friendly, locally-owned bookstore and quite popular among avid readers in the Canadian capital. Congrats Christopher for setting sail on uncharted waters. I look forward with excitement to reading your journey into the world of fiction. As someone who is very familiar with both your journalistic and academic endeavors, I am confident you will not disappoint your audiences with your wordsmanship and your creative imagination in this new domain. May you achieve great success and personal satisfaction from your new calling. Thank you for the heads up; I will read your Ottawa stories with interest. I spent 7 years in Ottawa, and although I enjoyed its amenities, I wasn’t particularly fond of it. Montréal was more relatable, and Toronto was (and is) like a second birthplace; full of striving immigrants with complex stories and customs; beautiful women from every race and every possible combination of races with unique hairdos and dresses. Ottawa was more sedate and less conspicuously multicultural- they had trouble enough with the 2 founding peoples’ hangups. My encounters with the well-integrated and largely professional Hungarian immigrant community in Ottawa were often compelling and remain unprocessed in my mind. A professional mentor invited me one for dinner. It was the first time I met his delightfully articulate wife and seen his small but impressive condominium. The place was like a museum, full of cultural treasures, many of them from Hungary. I saw a painting with a style that reminded me of a well-known modern artist. It was a sassy little girl wearing a polka dot dress. I mentioned the resemblance, and he told me the painting cost him only $50. He wasn’t sure it was “real,” but it was certainly worth that much even if it wasn’t. The man who sold it to him had come as a refugee in one of the many waves of the 20th century. He brought the painting, thinking was priceless. And it was just that in the sense he couldn’t find anyone who would pay anything like he had hoped. My mentor and I both loved the painting and – fake or not – I enjoyed the fine dinner with an excellent wine under the girl’s gaze.